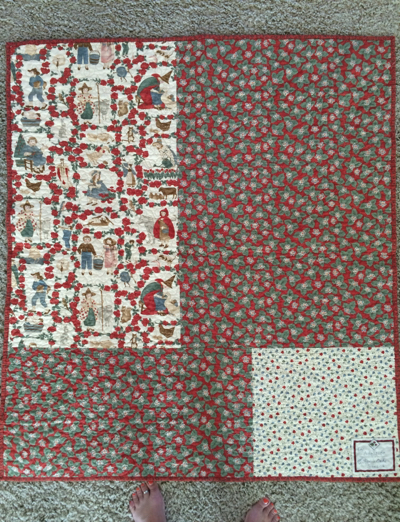 This quilt, short of the binding, has been finished for four years. 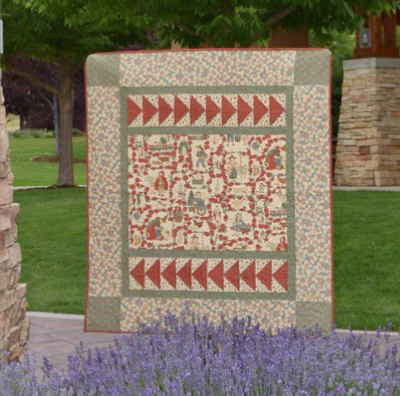 I fell in love with the Mother Goose and Friends the first time I laid eyes on it and I knew that it would make a perfect quilt for a child. 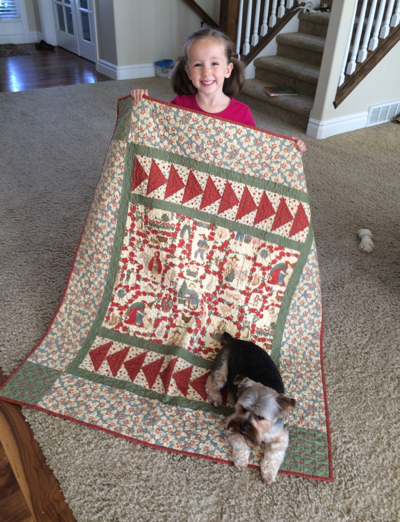 Of course, a Mother Goose quilt must have flying geese. My favorite four year old and her friend Bruno.